We were at the tail-end of our whole-day island tour. From the Beach Port of Siquijor, to Lugnason Falls, the famous Siquijor balete tree, Cambugahay Falls, Kagusuan Beach and finally, Salagdoong Beach; we’ve been to places we’ve visited before and to new ones. And there’s definitely nothing more rewarding after such a journey than a relaxing coffee break (or beer, perhaps?) right by the beach as the sun sets far off into the horizon. 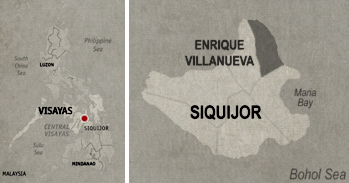 Those thoughts were running on our mind as Dennis, our guide, revved his tricycle along the empty highways of Enrique Villanueva. 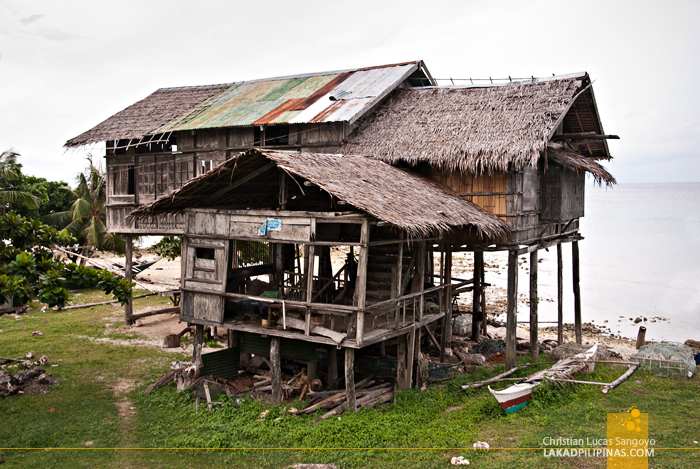 After passing through the now crumbling Cang-isok House, the oldest of its kind in Siqujor, we asked him to slow down a bit, we knew exactly where to end our Siquijoran adventure. 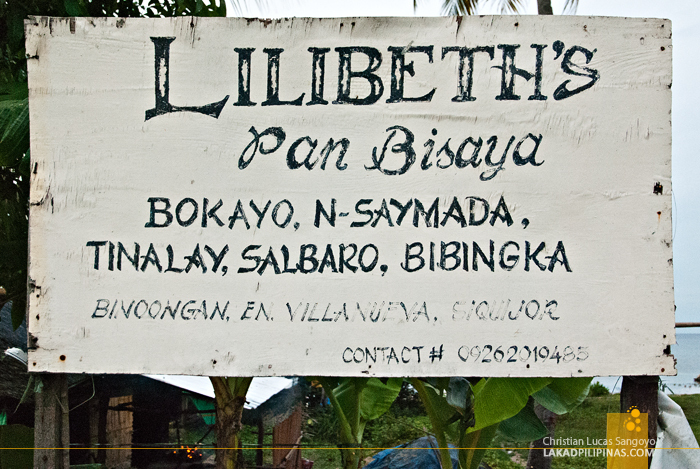 Lilibeth’s Pan Bisaya is a roadside bakery located on a lonely stretch of the road along barangay Bino-Ongan. 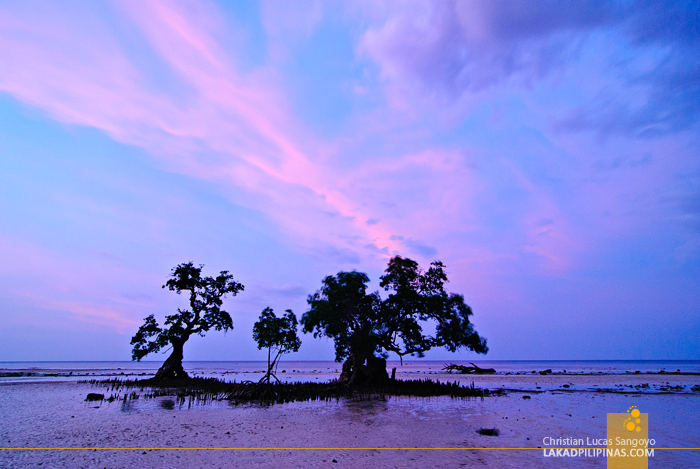 It sits right by the beach, more famous for its mangroves than its sand, which it has really none to speak of, by the way—they’re mostly crushed corals. But we’re not really here to swim. We’re here to eat. 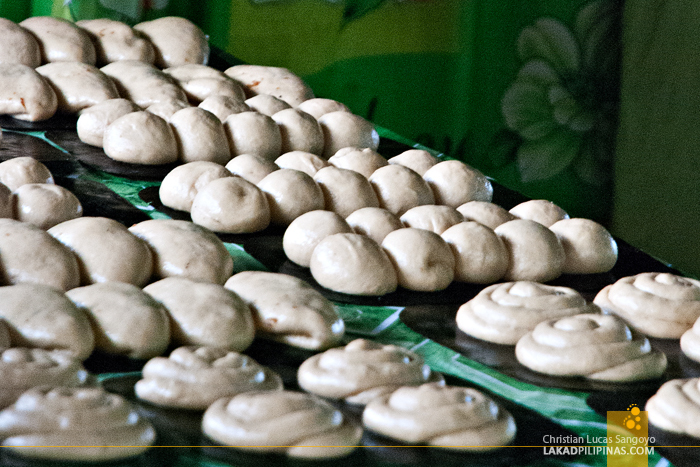 I’m not that familiar with pan bisaya, the bakery’s specialty, until I actually ate one. 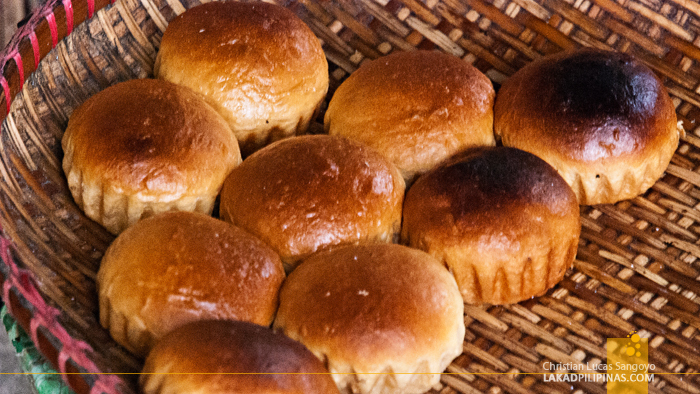 Together with a cup of piping hot instant coffee, we were handed a plateful of the said bread. It was still quite warm and has a bit of a smoky and woody aroma. As I bit into it, I found it to be deliciously soft with a surprise filling inside, bucayo (sweet coconut gratings)! Wait, isn’t this pan de coco?! Lol. Apparently, Cebu also has the same pan bisaya, but it is quite different that it has a more oblongish shape with pointy ends and without any coconut fillings at all. 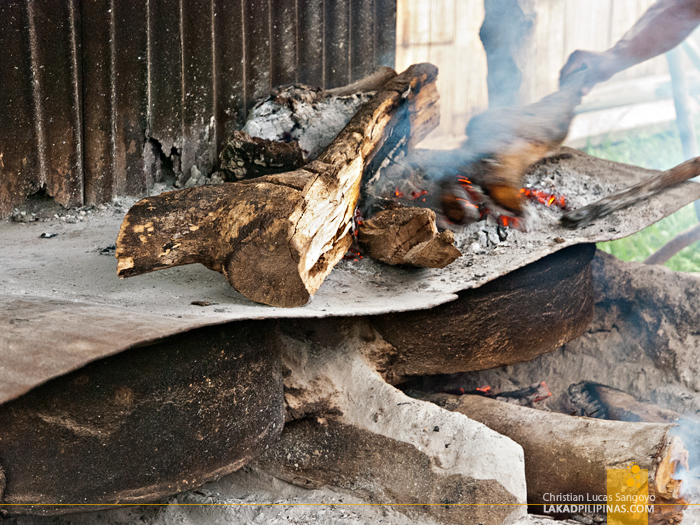 Siquijor’s pan bisaya is owned and operated Lilibeth Viernes-Alce, a sweet woman clad in apron who was supervising the ovens when we entered the simple hut where the bakery is set on. 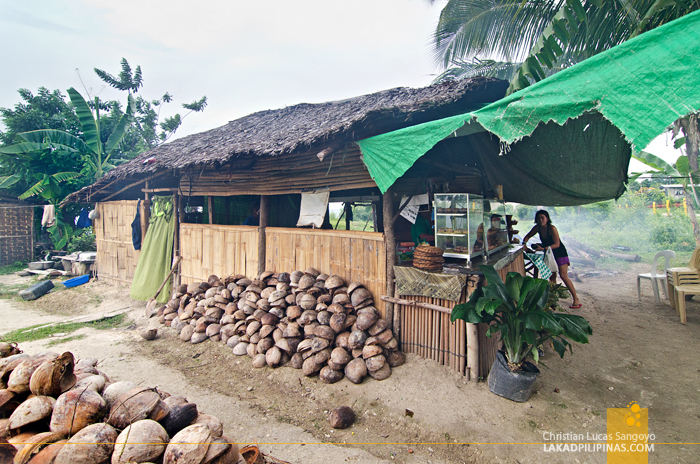 This thatch-roofed structure is where all the magic happens; from the mixing and kneading of the dough up to the final baking at the makeshift concrete oven—fired from below and at the top by driftwoods and coconut husks—right at the side of the hut. There really wasn’t a formal place to eat on at Lilibeth’s besides a simple table wrapped in checkered plastic linoleum, but this was really no problem at all. We dragged three plastic monobloc chairs out to the beach, set our bread and coffee on one, and waalaah, our twilit meal for the day. Go Shugah! Siquijor is so beautiful!